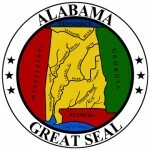 The Alabama domestic articles of incorporation, also known as the ‘Business Corporation Certificate of Formation Form’ must be used to form a Business or For Profit Corporation. It must be either typed or produced with a laser printer. 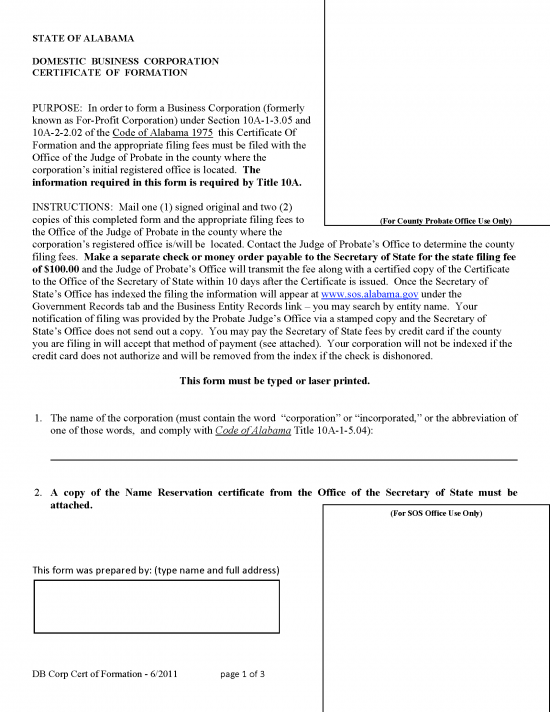 It must be sent to the county Judge of Probate’s Office that the corporation will reside in. The county may require its own fees so it is important that the applicant contact them (via telephone). 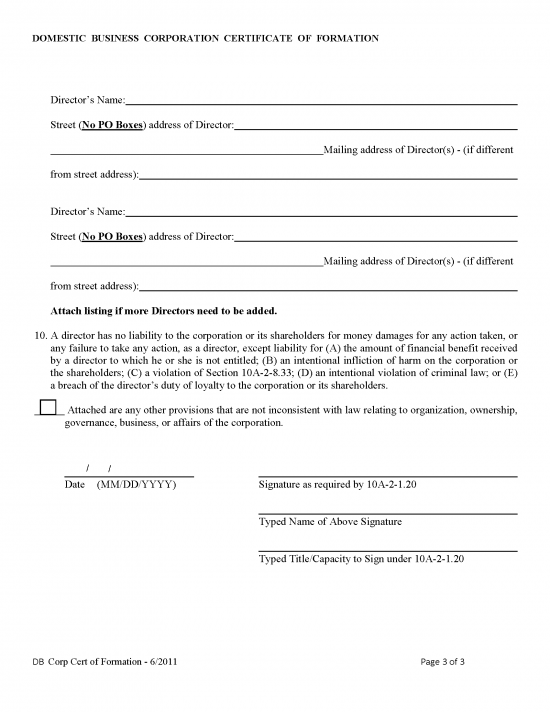 The total fee for filing the is $128 ($28 for the Name Reservation and $100 for the Articles). 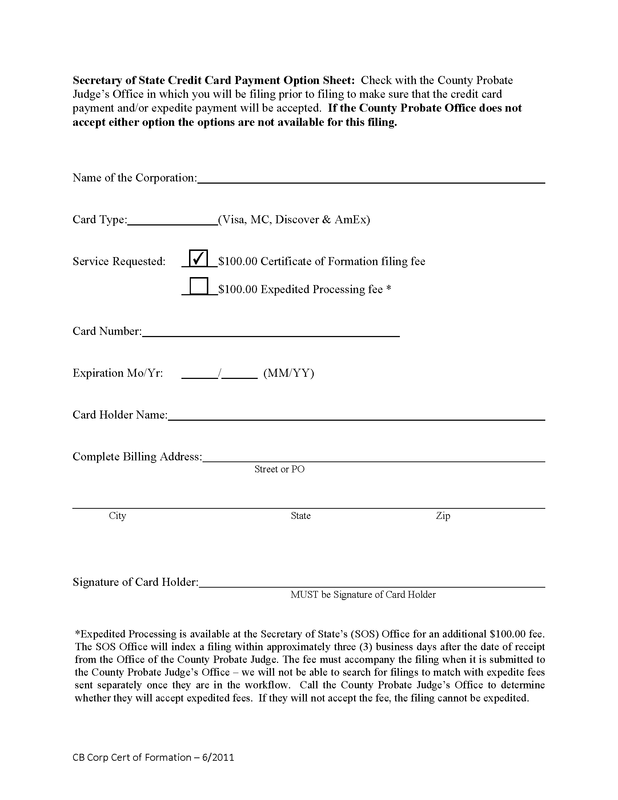 Before an applicant may file this document, they must first obtain a Name Reservation Certificate that can be completed online for a fee of $28. 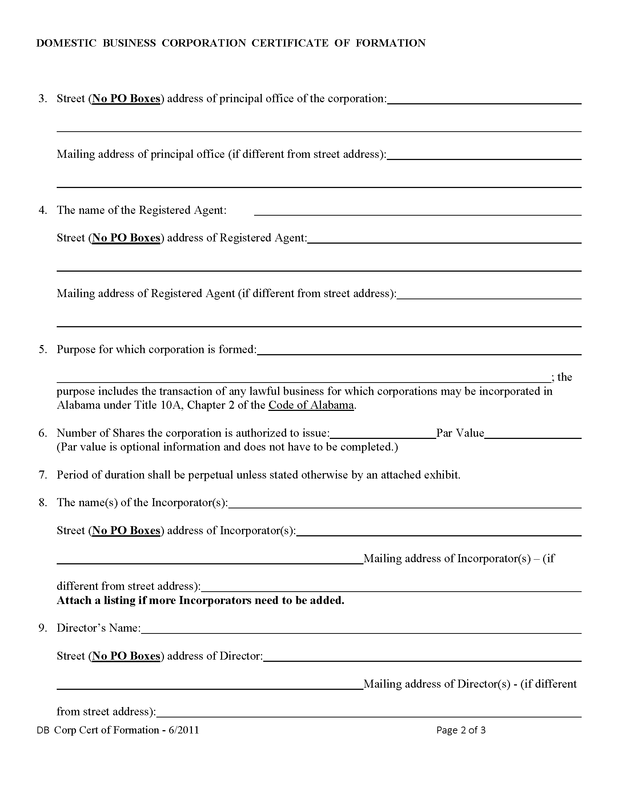 Enter the name and address of the individual who prepared the form. 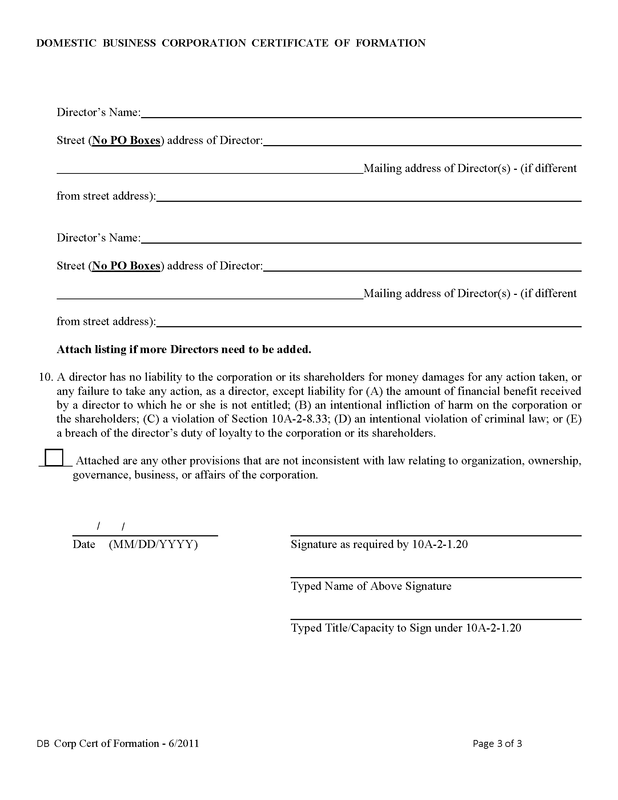 Director’s name and mailing address. card number, holder’s name, billing address, and signature. Step 5 – Make two (2) copies after completing and send to the Probate County Judge’s Office in the jurisdiction of the Principal office address of the corporation. Some of the counties charge an extra fee so it is important that the applicant call and make sure there are no additional fees. At this time to filing is complete.